Friends of The Wild Whoopers’ (FOTWW) President Chester McConnell will be a speaker at Audubon’s Nebraska Crane Festival 2019 program on Saturday, March 23rd between 10:00 and 10:50 AM. 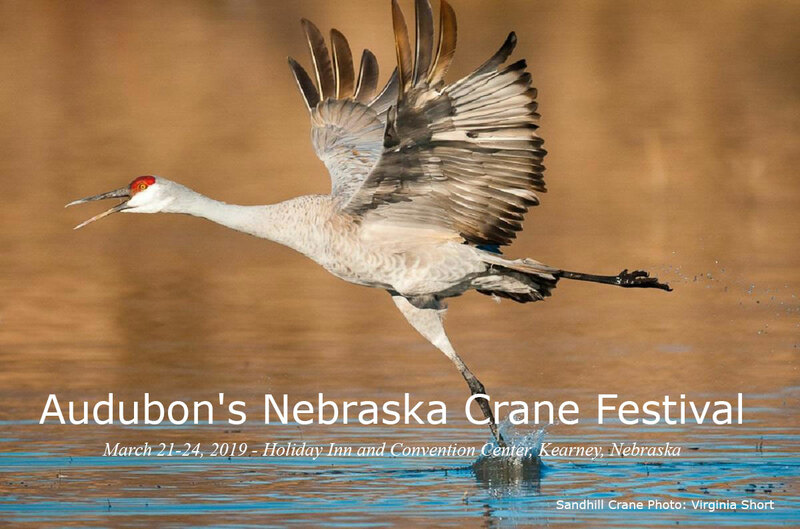 This year’s Audubon’s Nebraska Crane Festival, taking place March 21-24, 2019, brings together hundreds of crane lovers from around the country to Kearney, Nebraska. Visitors will get to interact with a wide range of environmental speakers, take part in incredible birding trips, and, best of all, experience the world’s largest gathering of Sandhill Cranes and maybe even a rare sighting of endangered Whooping Cranes! McConnell will be discussing Whooping Crane biology and habitat needs. FOTWW has been working with military bases, Indian Reservations and the U. S. Army Corps of Engineers for the past three years to identify and evaluate existing and potential “stopover habitats” on their properties. FOTWW believes that “stopover habitat” is a necessary but virtually ignored part of the overall effort to save endangered wild Whooping Cranes in the Aransas-Wood Buffalo population. Once habitats have been identified, FOTWW prepares detailed plans for each property explaining how they should be developed and protected to provide essential “stopover habitats” for migrating Whooping Cranes. Whooping Cranes migrate a distance of 2,500 miles two times each year between their nesting habitat on Wood Buffalo National Park, Canada and their Aransas Refuge winter habitat on the Texas coast. During each of the two annual migrations, the Whooping Cranes must stop to rest and feed 15 to 30 times. FOTWW believes that the wild population is capable of taking care of itself with two exceptions. These Whoopers need man to protect their habitats and to stop shooting them. Clicking here will take you to the total Audubon’s Nebraska Crane Festival program agenda. Friends of the Wild Whoopers’ president, Chester McConnell, will be speaking this Thursday night, Nov. 8, 2018 at the Fort Worth Audubon’s monthly meeting. He will be speaking briefly about the biology of the only wild population of Whooping Cranes on earth. He will also explain the efforts by Friends of the Wild Whoopers to protect, improve and develop “stopover habitats” for these endangered birds. McConnell became interested in Whooping Cranes when he was in the 5th grade. He read a brief article in the Weekly Reader which explained that the Whoopers had returned to Aransas National Wildlife Refuge in Texas. The article also explained that no one knew where the birds went to in the summer months. McConnell eventually became a lifetime member of the Whooping Crane Conservation Association. He was appointed as a Trustee and served as President one term. He managed their web page and newsletter (wife was Associate Editor) for 14 years. Currently, McConnell serves as President of Friends of the Wild Whoopers, a private, non-profit group whose mission is to help preserve and protect the Aransas/Wood Buffalo population of wild whooping cranes and their habitat. He has evaluated potential Whooping Crane habitats on 21 military bases, 8 Indian Reservation and 14 Army Corps of Engineers lakes. Friends of the Wild Whoopers now works under an official Memorandum of Understanding with the U.S. Army Corps of Engineers to evaluate all lakes within the 6 state migration corridor (TX, OK, KS, NE, SD and ND). Services to the military, Indian Reservations and the Corps have been performed at no cost to the recipients. The meeting will begin at 7:30 pm with a short 15 minute business meeting followed by McConnell’s presentation. Meetings are held in Everett Hall, Room 100, in the Research and Education (RES) building at the University of North Texas Health Science Center on 3500 Camp Bowie Boulevard (at Montgomery Street) Fort Worth TX 76107. Use Parking Lot 6 on Clifton Street. Enter the RES building ground floor at the northwest corner of Parking Lot 6. Amazon Prime Day is here. 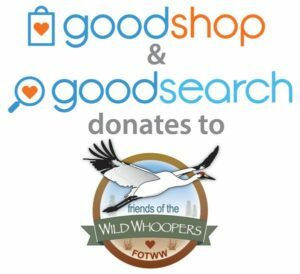 Won’t you please consider helping Friends of the Wild Whoopers help the only natural wild flock of Whooping Cranes? Your shopping makes a difference. 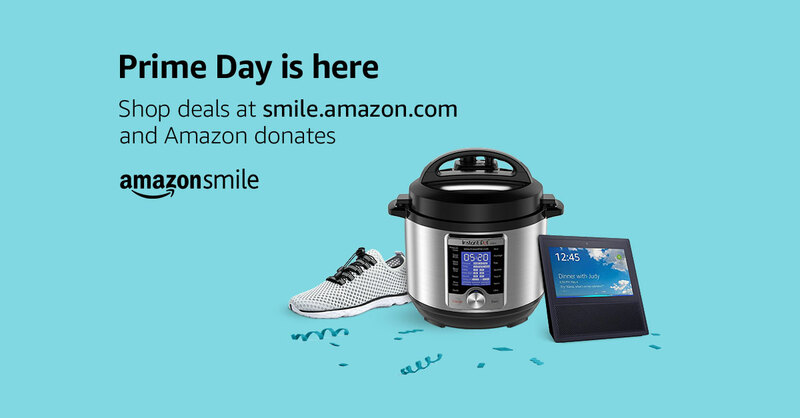 Prime Day starts today at 12pm PT / 3pm ET and Amazon donates to Friends of the Wild Whoopers when you shop Amazon Prime Day deals at smile.amazon.com/ch/47-1448662. Deals start July 16, 3pm ET and run through July 17.